Reliability Prediction tools such as ITEM ToolKit are absolutely essential when the reliability of your electronic and mechanical components, systems and projects is critical for mission success. When you develop products and systems for commercial, military, or any other application, you need to ensure reliability and consistent performance. Reliability is a measure of the frequency of failures over time. System reliability has a major impact on maintenance and repair costs as well as the continuity of service and customer satisfaction. During the reliability analysis or process, reliability prediction or MTBF (Mean Time Between Failure) has many functions and is often the foundation for any analysis. Whether you’re designing new or updating an existing system, ITEM ToolKit reliability prediction tools can assist in determining the impact of proposed design changes. It also provides a deeper understanding of acceptable reliability levels under environmental extremes. You can evaluate acceptable limits of failure for your system, or meet overall design goals and the requirements of your clients as well. The ITEM ToolKit reliability prediction modules provide powerful and competitive advantage. 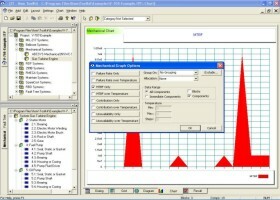 ITEM ToolKit, offers the greatest flexibility and ease of use in 5 reliability prediction modules. The reliability prediction modules MIL-217, Telcordia (Bellcore), NSWC, IEC 62380 (RDF) and China 299B all share a powerful set of features and capabilities for inputting and utilizing data in multiple operations. Now you can generate the most complete analysis for your purposes. Perfect for both military and commercial applications. 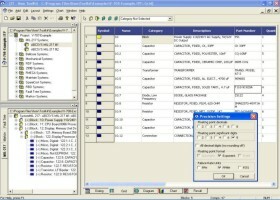 The ITEM ToolKit reliability prediction modules can aid in locating areas for potential reliability improvement. The reliability prediction modules offer the most advance and diverse Multi-Document Interface (MDI) features allowing you to construct and analyze your system with accuracy and speed. 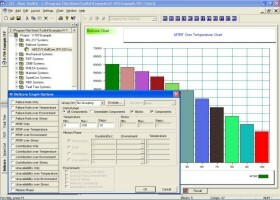 To download a free demonstration of our Reliability Prediction software click here. © 2018 ITEM Software. All rights reserved.